← Odd Federal Graves Amendment Case: to Avoid Vicarious Liability Owner of Vehicle Must Prove its Affiliate was also Free of Negligence. The Graves Amendment: Is an Auto Dealer Vicariously Liable for a Customer’s Negligent Operation of a Loaner Vehicle? By Greg Johnson. Does the Graves Amendment apply to auto dealerships who provide loaner vehicles to their customers? In a previous post, I provided an overview of the Transportation Equity Act of 2005 (49 USC § 30106) (a/k/a “Graves Amendment”), a federal law which preempts state law imposing liability on vehicle owners engaged in the business of renting or leasing motor vehicles absent negligence on the part of the vehicle owner. (See “Leasing, Renting & Vicarious Liability: An Overview of the Graves Amendment”). Whether a dealership qualifies for protection under the Graves Amendment when sued for a customer’s negligent operation of a loaner vehicle is a significant issue to many parties. It is obviously significant to the dealership’s liability insurer, the customer’s personal auto liability insurer and the customer. It is also important to the injured party and, depending on the severity of the injuries, the injured party’s underinsured motorist carrier. Over the past twenty five years, I’ve represented many auto dealers and garage liability insurers. Back when the Graves Amendment was passed in 2005, I was of the view that the statute would not apply to most dealers in most loaner vehicle situations – i.e., where there was no rental agreement or charge assessed to the customer for the use of the vehicle. My reasoning was essentially two-fold. First, auto dealerships are not usually “engaged in the trade or business of renting or leasing motor vehicles,” as required by 49 U.S.C. § 30106(a)(1) of the Graves Amendment. Most auto dealers do not rent vehicles to the public. (To the extent a dealer does, it needs to insure the activity under a Business Auto Policy rather than the Auto Dealer Coverage Form as the latter contains an exclusion for public rentals). The Graves Amendment does not define the trade or business of “renting or leasing motor vehicles,” or its constituent terms “renting” and “leasing.” However, the consistent and established understanding of the term “leasing” is the transfer of the right to possession and use of goods for a term in return for consideration. See UCC 2–A–103(j). The central distinguishing characteristic of a lease is the surrender of absolute possession and control of property to another party for an agreed-upon rent. See Black’s Law Dictionary (8th Ed. 2004) (“[t]o grant the possession and use of (land, buildings, rooms, movable property, etc.) to another in return for rent or other consideration”). The term “rent,” when used as a noun, means the “[c]onsideration paid, usu. periodically, for the use and occupancy of property (esp. real property).” Black’s Law Dictionary (8th Ed. 2004). When used as verbs, the words “lease” and “rent” are generally synonymous. See e.g., Zizersky v. Life Quality Motor Sales, Inc., 21 Misc.3d 871, 878, 866 N.Y.S.2d 501 (Sup. Ct., Kings County 2008). Second, the legislative history of the Graves Amendment, although sparse, didn’t support extending its scope to the typical loaner vehicle situation. One of the reasons cited in support of adoption of the Graves Amendment was the adverse impact vicarious liability laws had been having on rental rates, which are not applicable in the case of the typical “free” loaner vehicle. See, Statement of Rep. Graves, 151 Cong. Rec. H1200 (daily ed. March 9, 2005) (“Since companies cannot prevent their vehicles from being driven to a vicarious liability state, they cannot prevent their exposure to these laws and must raise their rates accordingly. These higher costs have driven many small companies out of business, reducing the consumer choice and competition that keeps costs down.”); H. Rpt. 106-774, pt. 1, at 4 (“because rented or leased motor vehicles are frequently driven across state lines, these small number of vicarious liability laws impose a disproportionate and undue burden on interstate commerce by increasing rental rates for all customers across the Nation.”). Applying the common definitions of “renting” and “leasing,” the vehicle owner must be “engaged in the trade or business” of transferring the right to possession of vehicles in exchange for consideration, an agreed-upon rent, for the Graves Amendment to apply. There has been case law addressing the “loaner” vehicle issue since the passage of the Graves Amendment. In Zizersky v. Life Quality Motor Sales, Inc., 21 Misc.3d 871, 866 N.Y.S.2d 501 (Sup. Ct., Kings County 2008), the court held the Graves Amendment did not apply because the dealership supplied a “loaner” vehicle to the lessee without charge while the lessee’s car was being serviced, and thus the loaner vehicle could not be deemed to have been “rented” or “leased.” In Zizersky, the plaintiff was driving her car when a BMW vehicle operated by a customer of the defendant dealership negligently collided with her vehicle. The BMW was owned by the dealership, and given to a customer for use while the customer’s vehicle was being serviced by the dealership. The dealership sought dismissal based upon the Graves Amendment. The court denied the dealership’s motion. It rejected the argument that the right to repair the vehicle rendered the loaner vehicle “rented” or “leased” for purposes of the Graves Amendment, and found that the loan of the vehicle was a “simple bailment.” 866 N.Y.S.2d at 501. In making this determination, the court found that “the central distinguishing characteristics of a lease is the surrender of absolute possession and control of property for the agreed-upon rent.” Id. Further, under the circumstances presented, the court held that interpreting the statute to include “loaner” vehicles as “rented” or “leased” would not aid the purposes of the Graves Amendment namely “reduction of insurance costs that will in turn result in a reduction of consumer prices and allow more lessors to remain in business.” Id. As such, the court found that the statute did not act to protect the dealership from the plaintiff’s vicarious liability claim. It also noted that the dealership’s interpretation of the Graves Amendment would undermine the policy of the State’s Vehicle and Traffic Law and suggested it needed a “clearer indication from Congress” before interpreting the statute more broadly. Id. In Murphy v. Pontillo, 12 Misc.3d 1146, 820 N.Y.S.2d 743 (Sup. Ct., Nassau County 2006), the court found insufficient evidence to determine as a matter of law that a car dealership was “a business in the business of vehicle leasing or renting, or that the defendant … leased or rented the van involved in the accident” because the agreement between the customer and dealership was entitled “Renter/Loaner Agreement” and there was no proof that the renter had ever paid for the use of the vehicle. Assuming the Graves Amendment does not protect the dealer – at least in the typical loaner vehicle context, the dealership would be exposed to vicarious liability if the accident occurred in a jurisdiction, like Minnesota, which imposes vicarious liability upon the owner of a motor vehicle when it is permissively operated by another. See, Minn. Stat. § 169.09, subd. 5a (previously Minn. Stat. § 170.54) (“[w]henever any motor vehicle shall be operated within this state, by any person other than the owner, with the consent of the owner, express or implied, the operator thereof shall in case of accident, be deemed the agent of the owner of such motor vehicle in the operation thereof”). Notwithstanding section 169.09, subdivision 5a, an owner of a rented motor vehicle is not vicariously liable for legal damages resulting from the operation of the rented motor vehicle in an amount greater than $100,000 because of bodily injury to one person in any one accident and, subject to the limit for one person, $300,000 because of injury to two or more persons in any one accident, and $50,000 because of injury to or destruction of property of others in any one accident, if the owner of the rented motor vehicle has in effect, at the time of the accident, a policy of insurance or self-insurance, as provided in section 65B.48, subdivision 3, covering losses up to at least the amounts set forth in this paragraph. * * * Nothing in this paragraph alters or affects liability, other than vicarious liability, of an owner of a rented motor vehicle. At first glance, the Minnesota cap statute appears to only apply to vehicle owners who rent vehicles to the public. However, a vehicle is considered “rented” under the statute if (1) the rate for the use of the vehicle is determined on a monthly, weekly, or daily basis; or (2) during the time that a vehicle is loaned as a replacement for a vehicle being serviced or repaired regardless of whether the customer is charged a fee for the use of the vehicle. Minn. Stat. § 65B.49, subd. 5a(i)(1). Thus, the typical loaner vehicle is considered a “rented” vehicle. (In Schmakel v. Kline-Oldsmobile-Mitsubishi, Ramsey Cty. Dist. Ct. File. No. : C5-98-8982 (May 17, 1999), a case my office handled (and which arose several years prior to the passage of the Graves Amendment in 2005), the Ramsey County District Court in St. Paul, Minnesota rejected the Schmakel’s claim that the statutory cap on vicarious liability was unconstitutional). The Graves Amendment likely does not apply in the typical loaner vehicle situation such that a dealer will be vicariously liable in states with owner liability statutes when its customer causes injury or damages to third parties. 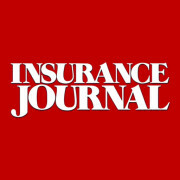 In those jurisdictions, it will be important to consult applicable statutes imposing caps liability as well as statutes (and case law) addressing the insuring obligations of the dealership’s liability insurer and the customer’s personal auto insurer relative to priority of payment. This blog is for informational purposes only. By reading it, no attorney-client relationship is formed. The law is constantly changing and if you want legal advice, please consult an attorney. Gregory J. Johnson. © All rights reserved. 2014. This entry was posted in ADCF Policy, Auto Dealer, BAP, Coverage, Duty to Indemnify, PAP, Rentals and tagged Graves Amendment, Motor vehicle, Vicarious liability. Bookmark the permalink.